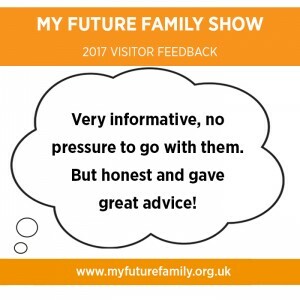 we offer fast track ticket holders the chance to pre-book a confidential 1-2-1 advice session on the day so you can ask initial questions and find out if the provider is suitable for you before you commit. On the day we have a wide range of seminars from leading experts providing you with case studies, information and guidance. We also offer short 10 minute pop up talks with hints & tips. The show features 25 exhibitors. From IVF support to finding sperm or egg donors. 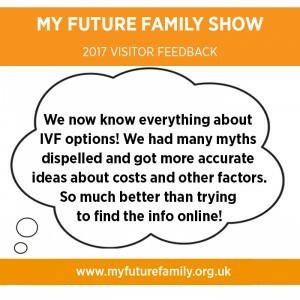 Both NHS and private options as well as UK and international surrogacy - all focussed on alternative families. Not sure if this event is for you? 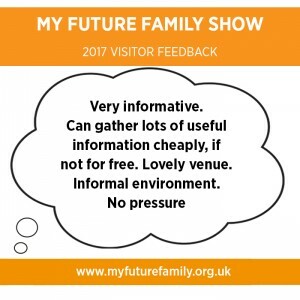 See what previous visitors have said about the show. 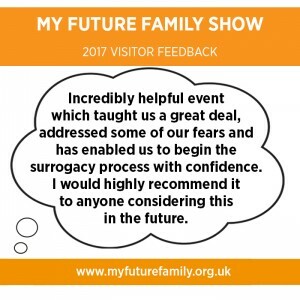 The event brings together companies, clinics and community organisations who understand and are focussed on alternative family creation. 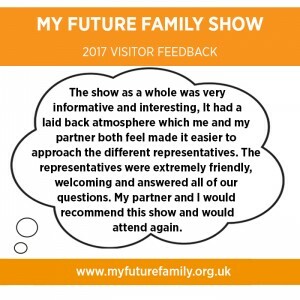 Sign up to our newsletter today for the latest information about the show.